Vintage Wild Ducks Illustration - 1800s Duck Images. 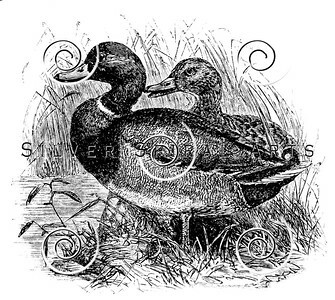 Vintage Wild Ducks Illustration from ANIMAL LIFE IN THE SEA AND ON THE LAND by Sarah Cooper 1877 - Retro 1800s Black and White Image. Vintage Crane Birds Illustration - 1800s Bird Images. Vintage Crane Bird Illustration from ANIMAL LIFE IN THE SEA AND ON THE LAND by Sarah Cooper 1877 - Retro 1800s Black and White Birds Image. 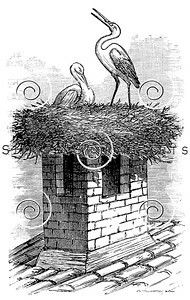 Vintage Stork Birds Nest Illustration - 1800s Storks Bird Images. Vintage Stork's Nest Illustration from ANIMAL LIFE IN THE SEA AND ON THE LAND by Sarah Cooper 1877 - Retro 1800s Black and White Birds Image. Vintage Penguin Illustration - 1800s Penguins Images. 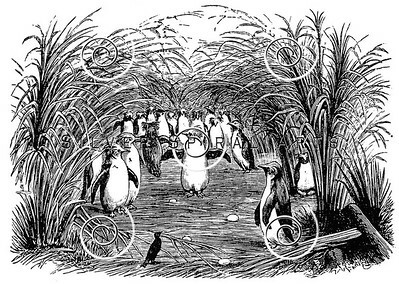 Vintage Penguin Illustration from ANIMAL LIFE IN THE SEA AND ON THE LAND by Sarah Cooper 1877 - Retro 1800s Black and White Penguins Image. Vintage Hummingbird Birds Illustration - 1800s Bird Images. Vintage Hummingbird Bird Illustration from ANIMAL LIFE IN THE SEA AND ON THE LAND by Sarah Cooper 1877 - Retro 1800s Black and White Birds Image. Vintage Owl Illustration - 1800s Owls Images. Vintage Owl Bird Illustration from ANIMAL LIFE IN THE SEA AND ON THE LAND by Sarah Cooper 1877 - Retro 1800s Black and White Owls Birds Image. Vintage Heron Birds Illustration - 1800s Bird Images. 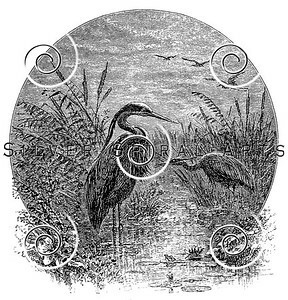 Vintage Heron Birds Illustration from ANIMAL LIFE IN THE SEA AND ON THE LAND by Sarah Cooper 1877 - Retro 1800s Black and White Image. Vintage Flamingoes Illustration - 1800s Flamingo Images. Vintage Flamingoes Illustration from ANIMAL LIFE IN THE SEA AND ON THE LAND by Sarah Cooper 1877 - Retro 1800s Black and White Flamingo Image. Vintage White Stork Bird Illustration - 1800s Birds Images. 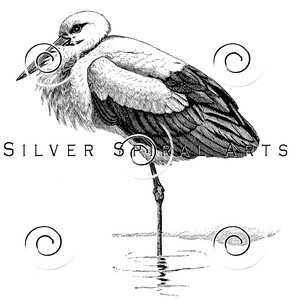 Vintage White Stork Bird Illustration from CAMBRIDGE NATURAL HISTORY 1899 - Retro 1800s Black and White Birds Storks Image. Vintage Toucan Bird Illustration - 1800s Tropical Birds Images. 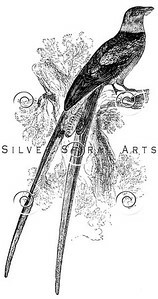 Vintage Ariel Toucan Bird Illustration from CAMBRIDGE NATURAL HISTORY 1899 - Retro 1800s Black and White Birds Image. 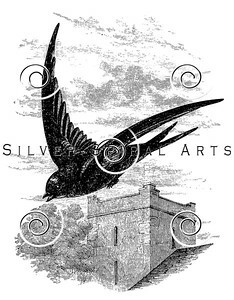 Vintage Swift Bird Illustration - 1800s Birds Images. 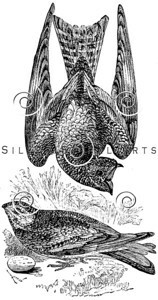 Vintage Swift Bird Illustration from CAMBRIDGE NATURAL HISTORY 1899 - Retro 1800s Black and White Birds Image. Vintage Screech Owl Bird Illustration - 1800s Owls Images. 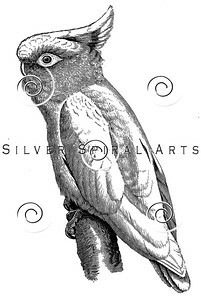 Vintage Screech Owl Bird Illustration from CAMBRIDGE NATURAL HISTORY 1899 - Retro 1800s Black and White Birds Owls Image. 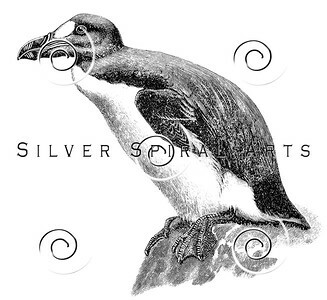 Vintage Rockhopper Penguin Illustration - 1800s Penguins Images. Vintage Rockhopper Penguins Illustration from CAMBRIDGE NATURAL HISTORY 1899 - Retro 1800s Black and White Rock Hopper Penguin Image. Vintage Roseate Spoonbill Bird Illustration - 1800s Birds Images. 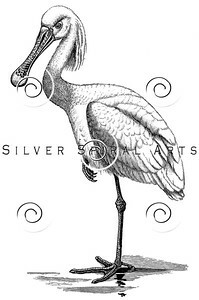 Vintage Roseate Spoonbill Bird Illustration from CAMBRIDGE NATURAL HISTORY 1899 - Retro 1800s Black and White Birds Image. Vintage Rhea Bird Illustration - 1800s Birds Images. Vintage Nandu Rhea Bird Illustration from CAMBRIDGE NATURAL HISTORY 1899 - Retro 1800s Black and White Birds Image. Vintage Raven Bird Illustration - 1800s Ravens Birds Images. 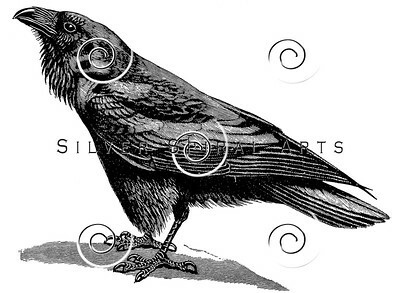 Vintage Raven Bird Illustration from CAMBRIDGE NATURAL HISTORY 1899 - Retro 1800s Black and White Ravens Birds Image. Vintage Parakeet Parrot Bird Illustration - 1800s Parrots Birds Images. Vintage Uvaean Parakeet Bird Illustration from CAMBRIDGE NATURAL HISTORY 1899 - Retro 1800s Black and White Parrots Birds Image. Vintage Kingfisher Bird Illustration - 1800s Birds Images. 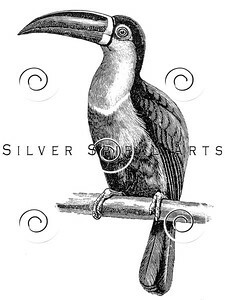 Vintage Racquet Tailed Kingfisher Bird Illustration from CAMBRIDGE NATURAL HISTORY 1899 - Retro 1800s Black and White Birds Image. Vintage Ostrich Bird Illustration - 1800s Birds Images. 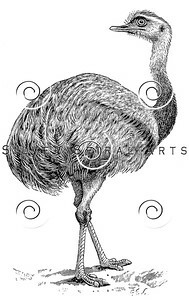 Vintage Ostrich Birds Illustration from CAMBRIDGE NATURAL HISTORY 1899 - Retro 1800s Black and White Bird Image. 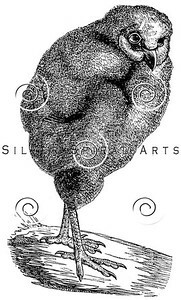 Vintage Lyrebird Bird Illustration - 1800s Birds Images. 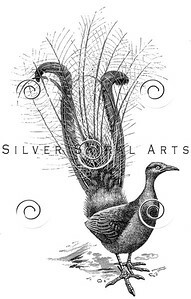 Vintage Lyrebird Bird Illustration from CAMBRIDGE NATURAL HISTORY 1899 - Retro 1800s Black and White Birds Image. Vintage Kiwi Bird Illustration - 1800s Birds Images. 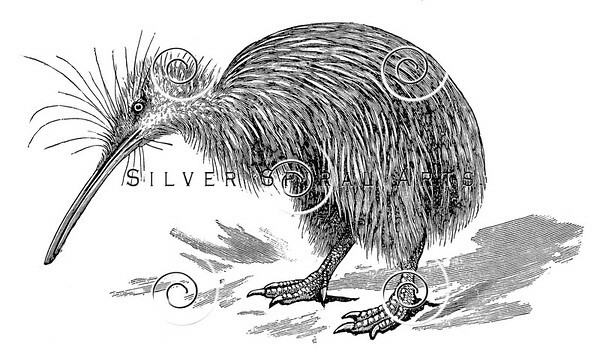 Vintage Kiwi Bird Illustration from CAMBRIDGE NATURAL HISTORY 1899 - Retro 1800s Black and White New Zealand Birds Image. Vintage Hummingbird Bird Illustration - 1800s Birds Images. 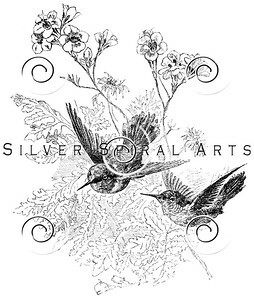 Vintage Hummingbird Bird Illustration from CAMBRIDGE NATURAL HISTORY 1899 - Retro 1800s Black and White Birds Hummingbirds Image. 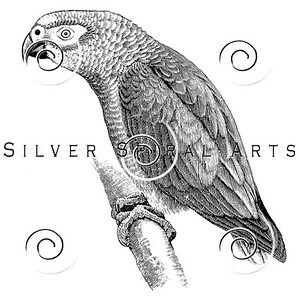 Vintage Parrot Bird Illustration - 1800s Birds Gray Parrots Images. 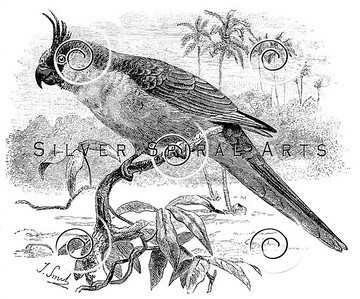 Vintage Gray Parrot Bird Illustration from CAMBRIDGE NATURAL HISTORY 1899 - Retro 1800s Black and White Birds Grey Parrots Image. 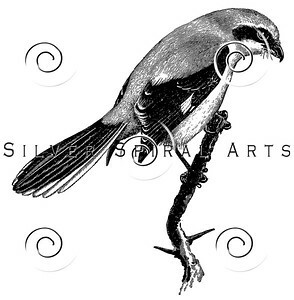 Vintage Grey Shrike Bird Illustration - 1800s Birds Images. Vintage Northern Grey Shrike Bird Illustration from CAMBRIDGE NATURAL HISTORY 1899 - Retro 1800s Black and White Birds Image. Vintage Golden Oriole Bird Illustration - 1800s Birds Images. 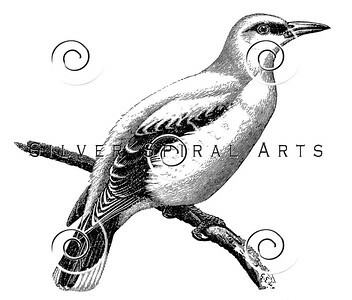 Vintage Golden Oriole Bird Illustration from CAMBRIDGE NATURAL HISTORY 1899 - Retro 1800s Black and White Birds Image. Vintage Great Auk Extinct Bird Illustration - 1800s Birds Images. 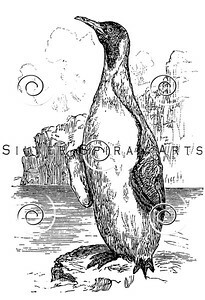 Vintage Great Auk Extinct Bird Illustration from CAMBRIDGE NATURAL HISTORY 1899 - Retro 1800s Black and White Birds Image. Vintage Flamingo Bird Illustration - 1800s Flamingoes Birds Images. 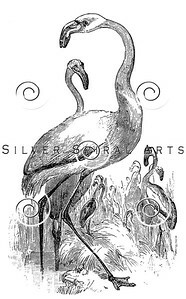 Vintage Flamingo Bird Illustration from CAMBRIDGE NATURAL HISTORY 1899 - Retro 1800s Black and White Flamingos Birds Image. 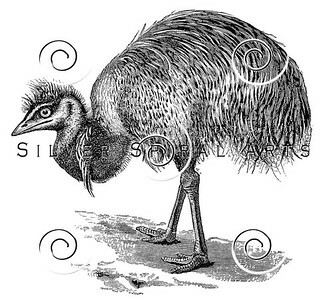 Vintage Emu Bird Illustration - 1800s Birds Images. 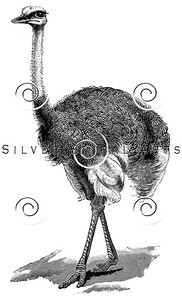 Vintage Emu Birds Illustration from CAMBRIDGE NATURAL HISTORY 1899 - Retro 1800s Black and White Emus Bird Image. Vintage Dodo Bird Illustration - 1800s Birds Images. 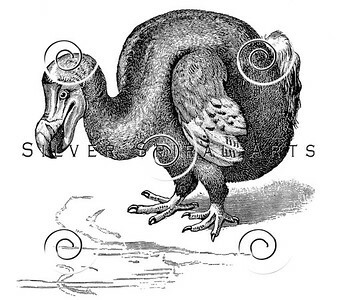 Vintage Dodo Bird Illustration from CAMBRIDGE NATURAL HISTORY 1899 - Retro 1800s Black and White Birds Image. Vintage Curlew Bird Illustration - 1800s Birds Images. 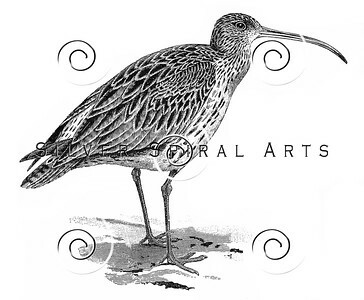 Vintage Curlew Bird Illustration from CAMBRIDGE NATURAL HISTORY 1899 - Retro 1800s Black and White Birds Image. 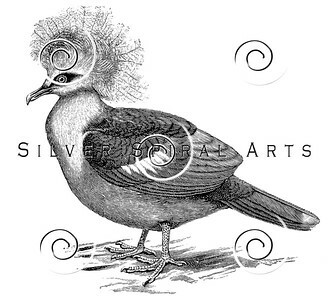 Vintage Crowned Pigeon Bird Illustration - 1800s Pigeons Birds Images. Vintage Crowned Pigeon Bird Illustration from CAMBRIDGE NATURAL HISTORY 1899 - Retro 1800s Black and White Birds Pigeons Image. 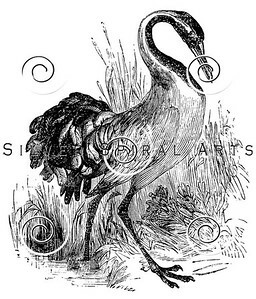 Vintage Crane Bird Illustration - 1800s Cranes Birds Images. 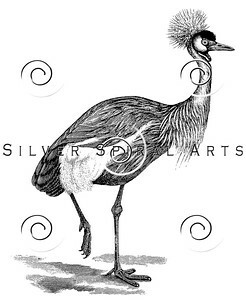 Vintage Crowned Crane Bird Illustration from CAMBRIDGE NATURAL HISTORY 1899 - Retro 1800s Black and White Cranes Birds Image. 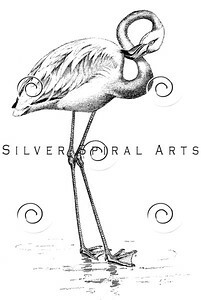 Vintage Heron Bird Illustration - 1800s Herons Birds Images. 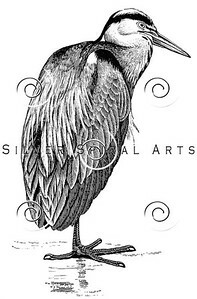 Vintage Common Heron Bird Illustration from CAMBRIDGE NATURAL HISTORY 1899 - Retro 1800s Black and White Birds Image. Vintage Pelican Bird Illustration - 1800s Pelicans Birds Images. 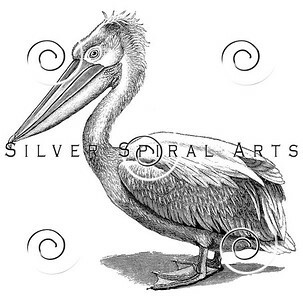 Vintage Crested Pelican Bird Illustration from CAMBRIDGE NATURAL HISTORY 1899 - Retro 1800s Black and White Birds Image. Vintage Cassowary Bird Illustration - 1800s Birds Images. Vintage One Wattled Cassowary Tropical Bird Illustration from CAMBRIDGE NATURAL HISTORY 1899 - Retro 1800s Black and White Cassowaries Birds Image. Vintage Cockatoo Bird Illustration - 1800s Birds Images. 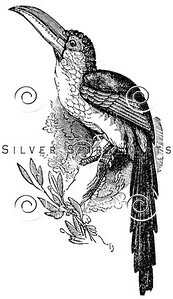 Vintage Leadbeater's Cockatoo Bird Illustration from CAMBRIDGE NATURAL HISTORY 1899 - Retro 1800s Black and White Birds Image. 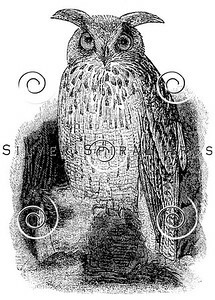 Vintage Burrowing Owl Illustration - 1800s Owls Images. 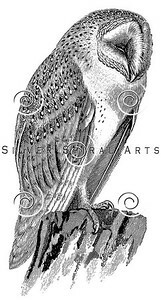 Vintage Burrowing Owl Bird Illustration from CAMBRIDGE NATURAL HISTORY 1899 - Retro 1800s Black and White Owls Image. 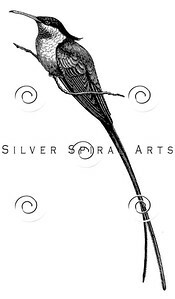 Vintage Swallow Bird Illustration - 1800s Birds Images. 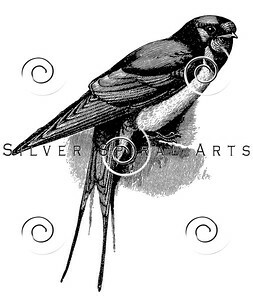 Vintage Swallow Bird Illustration from CAMBRIDGE NATURAL HISTORY 1899 - Retro 1800s Black and White Birds Image. Vintage Magpie Birds Illustration from ANIMAL KINGDOM (1874) - Retro 1800s Black and White Magpies Bird Image. 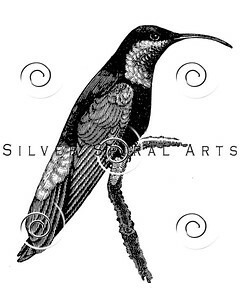 Vintage Widow Birds Illustration from ANIMAL KINGDOM (1874) - Retro 1800s Black and White Widows Bird Image. 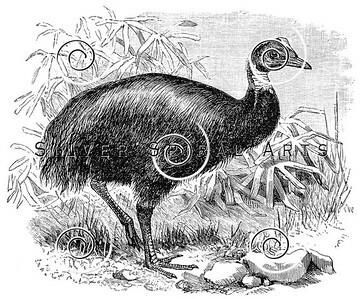 Vintage OBJECT Illustration from ANIMAL KINGDOM (1874) - Retro 1800s Black and White Image. Vintage Toucan Parrot Bird Illustration from ANIMAL KINGDOM (1874) - Retro 1800s Black and White Toucans Birds Image. 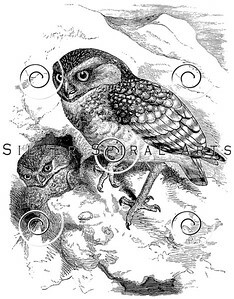 Vintage Young Baby Owl Chick Illustration from ANIMAL KINGDOM (1874) - Retro 1800s Black and White Owls Image.